The Longest Precon in OG History: Team India is more than ready! 24 Jun The Longest Precon in OG History: Team India is more than ready! Namaste! It’s hard to believe that two months have already gone by since we touched down in New Delhi, but one thing is for certain: this country is as chaotic, colourful, and lively as we both remember it. And we love it! 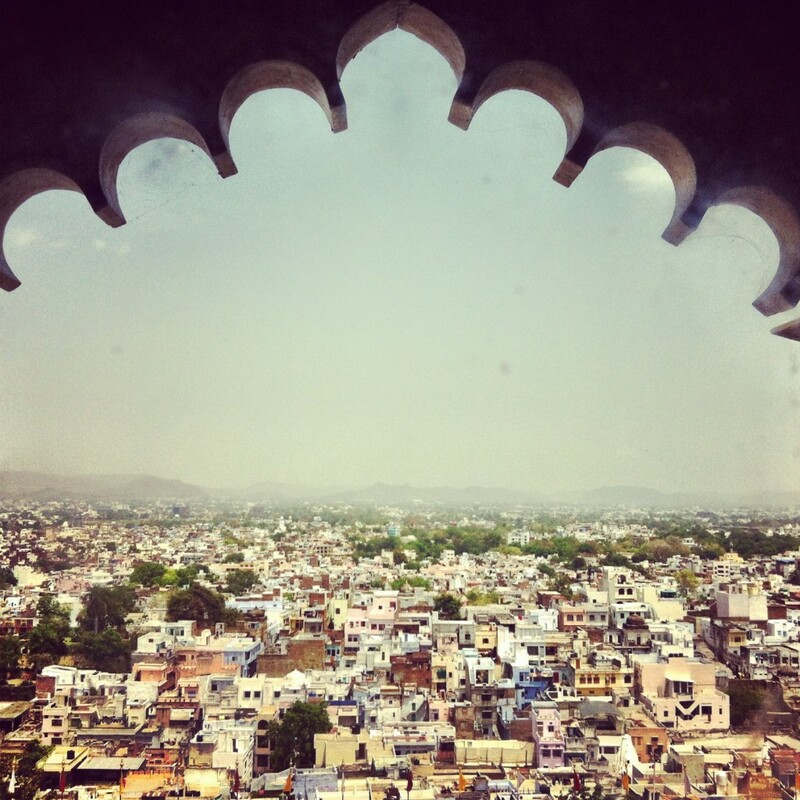 We started our journey by visiting the vibrant state of Rajasthan to see Pushkar’s sacred lake, Udaipur’s massive palace and to do some hiking in the hills of Mount Abu. We made a brief stop in the state of Gujarat to relax on the beaches in the enclave of Diu, a former Portuguese colony. Of course, all of this travel is so we can make awesome recommendations to our participants about where to go for ITT! 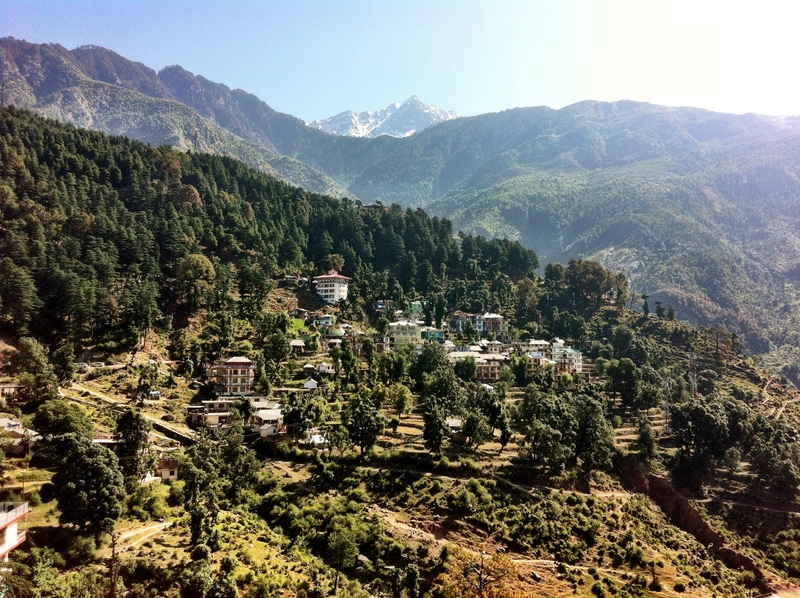 We recently put down some roots in Dharamshala, the home of the exiled Tibetan government and His Holiness the Dalai Lama, who actually made an appearance during our time there. We sat in on four days of teachings and while some aspects of the talks went over our heads, it was still an incredible experience. Natalie took a yoga course and James spent his days exploring the many waterfalls and mountains of the area. Now to the real work: during several of our many trips to Delhi, we met up with two of our partners, Wahoe Education and 17,000ft. 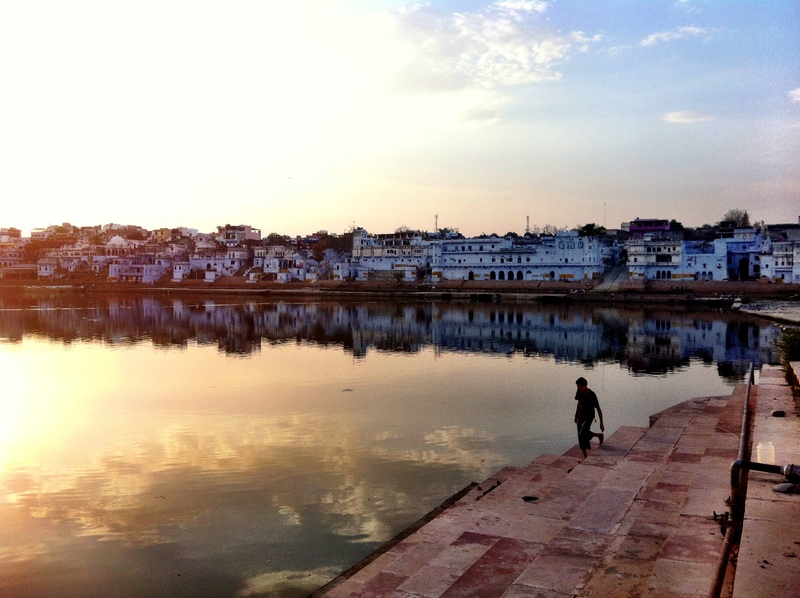 Wahoe Education was started in New Delhi, and now has several branches across India with focuses on education, women’s empowerment and environmental conservation. We will be working with Wahoe Education in Manali, by going on an environmental conservation hike and teaching English to local children. We also met with Sahu and Sujata, the energetic couple who started 17,000ft. Their aim is to improve every school in the Ladakh region, from the most populated to the most remote. Last year, they surveyed every government and monastery school and collected data to determine the first 100 schools to work with. Since then, they have been implementing library and reading programs, and sending out volunteers to build playgrounds and help out in the classrooms. 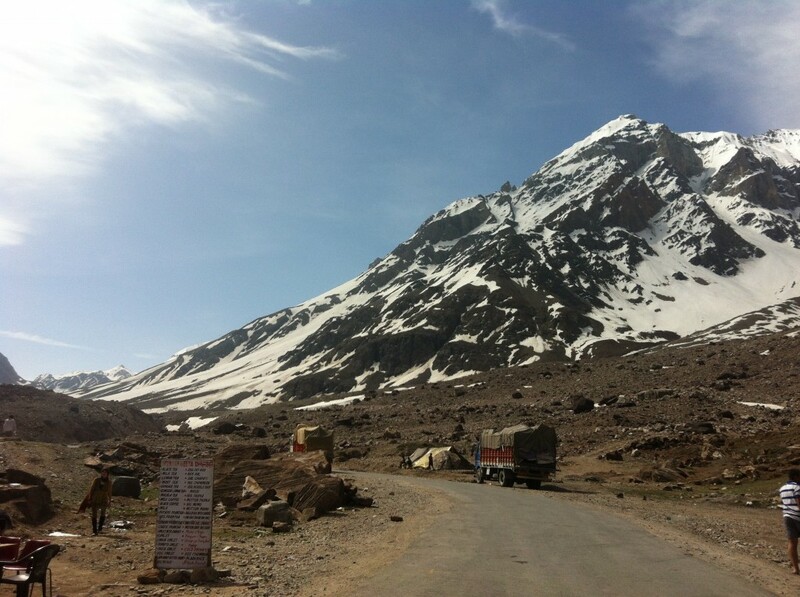 Rewind to a week ago, and we went up to Ladakh – about 18 hours by road – and met up with Sahu in their Leh office. We took a day trip to the monastery school that we will be working with. 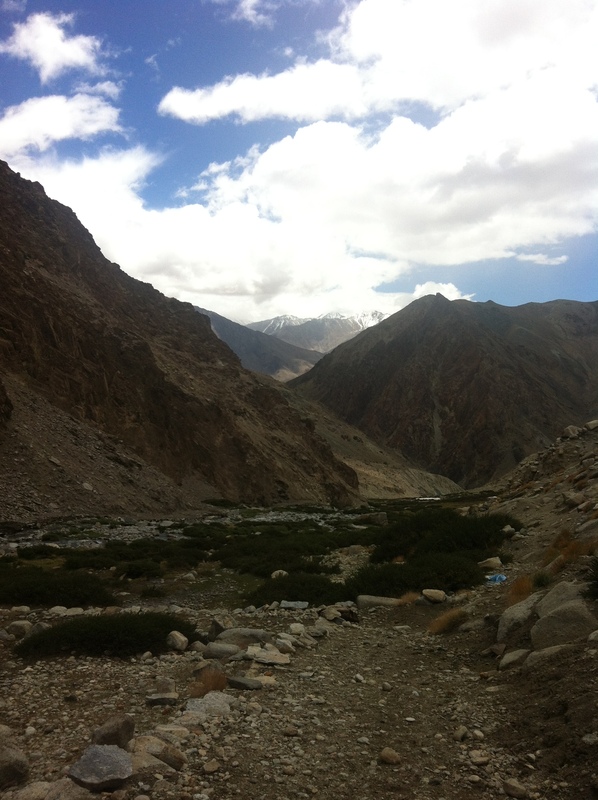 It is about a three hour drive from Leh, and then about a three hour trek up to the school – it is definitely off the beaten path! The village below and the nuns, monks, and students at the monastery were all very welcoming and excited to have us there. We were excited to know that we were the second visitors to that school in the past five years! We can’t wait to bring the group there. While in Leh, Natalie was doing some yoga and mediation, while James was busy finding ways to climb all of the rocks and mountains (see the trend here?). 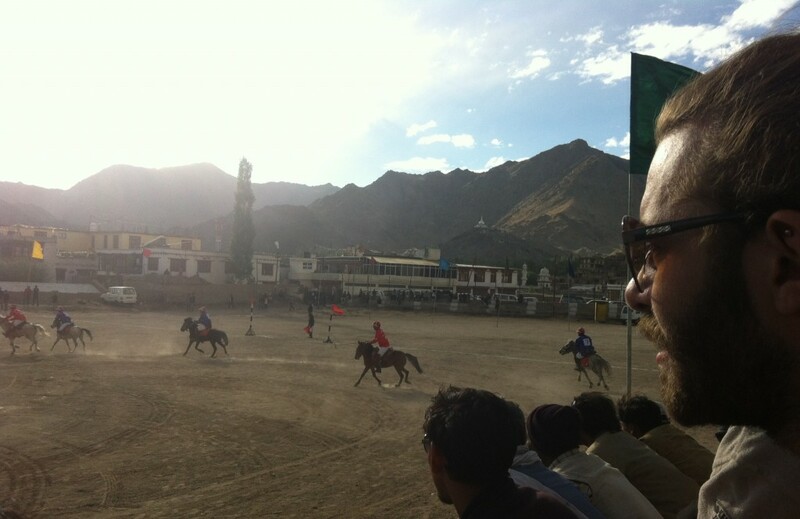 They both watched a polo match that had the most incredible backdrop and have been eating LOTS of momos. Until the group comes, Natalie will be learning more about Buddhism and practicing meditation in a ten day retreat (expect a very zen trip leader) and James is off to further check out Manali and the Parvati Valley.